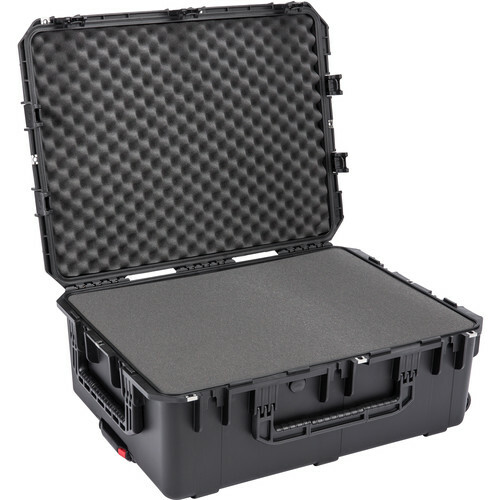 Store, protect, and transport your valuable gear in the 2922-10 Waterproof Utility Case with cubed foam in black from SKB. This waterproof, dustproof case is constructed from ultra-high-strength copolymer resin. Users will appreciate the trigger release latch system and built-in purge valve. Carry the case with the large folding handles or roll it with the retractable extension handle and wheels.